Several overlay-based live multimedia streaming platforms have been proposed in the recent peer-to-peer streaming literature. In most of the cases, the overlay neighbors are chosen randomly for robustness of the overlay. However, this causes nodes that are distant in terms of proximity in the underlying physical network to become neighbors, and thus data travels unnecessary distances before reaching the destination. For efficiency of bulk data transmission like multimedia streaming, the overlay neighborhood should resemble the proximity in the underlying network. In this paper, we exploit the proximity and redundancy properties of a recently proposed clique-based clustered overlay network, named eQuus, to build efficient as well as robust transport overlays for multimedia streaming. To combine the efficiency of content pushing over tree structured overlays and the robustness of data-driven mesh overlays, higher capacity stable nodes are organized in tree structure to carry the long haul traffic and less stable nodes with intermittent presence are organized in localized meshes. The overlay construction and fault-recovery procedures are explained in details. Simulation study demonstrates the good locality properties of the platform. The outage time and control overhead induced by the failure recovery mechanism are minimal as demonstrated by the analysis. 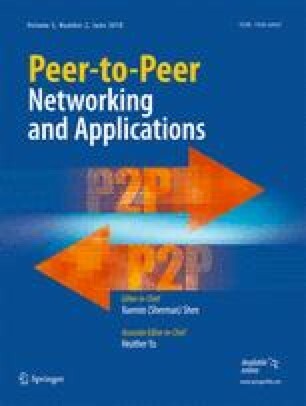 We are grateful to Dr. Guy-Vincent Jourdan and Dr. Jun Zheng of University of Ottawa and the anonymous referees and the audience of P2P’08 conference for their valuable comments that helped significantly to refine the design of the CliqueStream system and to improve the presentation of the paper.